Welcome to Image Factor Media! We offer a number of graphic design services to race teams, speedways and motorsport sponsors. We design attractive promotional material that turns heads. By making your image a factor you will show fans and sponsors that you mean business. Whether its websites, autograph cards, flyers, poster, event tickets or sponsorship proposals, we provide the services and products needed for every budget. If you have any questions please feel free to contact us at any time. If you have a project in mind, get in touch with us and we will get you an estimate along with any other details you require. Thank you for visiting us. We hope you have found our site informative and enjoy our designs. Get our entire product catalogue, 100% free! Just click the button to get started. 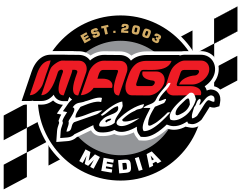 Image Factor Media was launched in 2003 as ImageFactor.ca as an avenue for race teams, tracks and drivers to gain an edge with their promotional design projects. The company was formed by Greg Calnan and is based in Brantford, Ontario Canada. Greg has been involved in sports promotions for over 20 years. Throughout the summer he can be found at a variety of speedways throughout Ontario talking with racers of all types. He is also the lead announcer at Ohsweken Speedway. 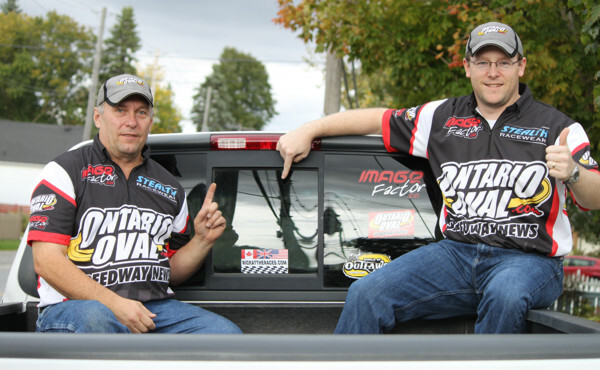 His passion for motorsports has led him to the formation of Image Factor Media and has helped many tracks, teams and clubs bring their promotional product to a new level. Whether its creating a web presence or designing promotional material Image Factor Media will provide a unique service for the smallest race team to the largest speedway. The ultimate goal is to create an image that is clean and professional to help market the sport of auto racing to fans and sponsors. In 2008, Image Factor Media expanded its services to include photography. Award winning photographer Dale Calnan has gained motorsports experience through his work with Brighton Speedway, the Ontario Dirt Late Models and the Southern Ontario Sprints. In 2011, he became the Track Photographer at Ohsweken Speedway. If you have a design need for your team, track or touring series please feel free to contact us at any time. Helping to promote the motorsport industry is what Image Factor Media is all about!